AuthorQuest: Why Can't Superheroes Kill? 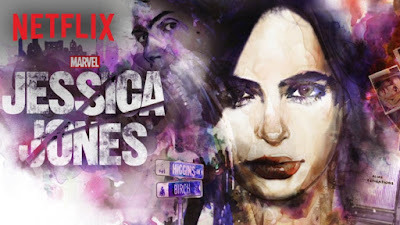 After watching Jessica Jones (friggin' excellent by the way, but full of horror), this question has finally coagulated enough to bubble up to the surface of my brain. 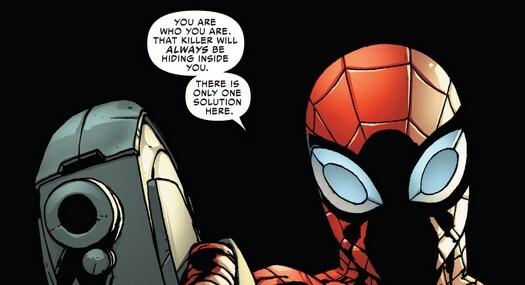 One of the basic tenets of the superhero, one that decisively divides them from the villain is this: thou shalt not kill. At least not intentionally and not mortal humans. Yes, there are exceptions: Superman killed Doomsday, Wolverine killed Jean Grey in X-Men 3, Silver Surfer allowed entire planets to be wiped out until he 'converted'. There are characters who don't follow the rules, like Deadpool and The Punisher, but they make it clear they are anti-heroes. They are bad guys fighting other bad guys. And what are the rules? I can only assume they're the unwritten laws of morality. Because as far as I know, no one gave Green Lantern an employee manual when he started. Spider-Man doesn't make the little old lady sign a contract for services rendered when he returns her purse. This all came up because one of the principle points of the show is that Jessica does not want to kill Kilgrave. Why? Because "that's not what heroes do". It's not because she's afraid of prison -- at one point, she's ready to reveal her powers and get sent to a supermax prison. She has a history as a costumed vigilante (although that's never shown), so I can only presume this comes from those lingering morals. 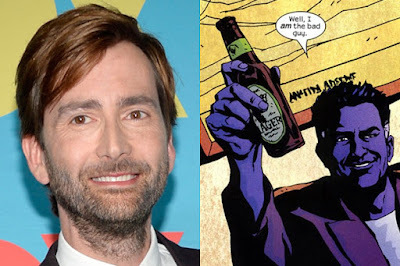 But the thing is, Kilgrave is not a person who can be shackled by a normal human prison or justice system. He can make people do whatever they want just by talking to them. There is no limit to what he could do - assassinate the president, launch nuclear weapons, enslave a population. He cannot be made to do anything against his will. The only way to stop him would be to kill him. At one point, Kilgrave has Hope Schlottman, the person Jessica's been trying to save since Episode 1, with him in an abandoned bar. Plus, there are three innocent people poised to step off a bar and hang themselves if Jessica tries anything funny. Hope chooses to stab herself in the throat, removing herself from the equation, so that Jessica stops holding back. That's the point Jessica decides to throw away her code of honor. And I'm wondering why she didn't do that in the first place? Why did it take such a high body count to change her mind? Before this, Jessica's made failed attempts at subduing Kilgrave. Ultimately, she manages to knock him out and take him to a glass-walled single-cell vault constructed just for him. She's going to make him confess to his crimes, therefore verifying the existence of mind control (which she cannot otherwise prove), so he can be tried in court. Of course, this fails, and in the end, she does away with him with a neck snap. So all that brings me to this point - what took her so long? Was it worth all the death and destruction while trying to capture him. From the first moment she had him, she could have injected him with cyanide. Five episodes and done. This isn't the first time I've thought of this - the number of times Joker has escaped stagger me. 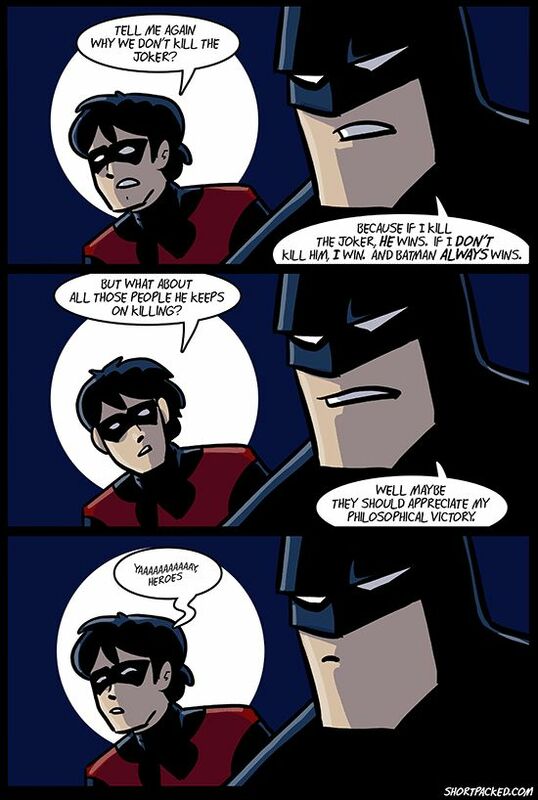 Batman has some idea that if he kills the Joker, that means the villain wins. Does that make sense? 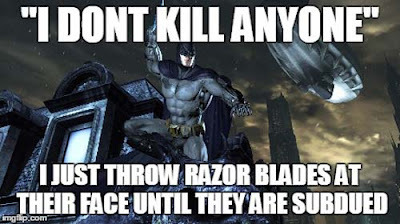 Especially given all the deaths and damage caused when Joker escapes AND his subsequent scheme. Can't he see the pattern repeating?*. *This is all presuming Batman's the only force capable of arresting the Joker and that the Gotham police force is incapable of taking him down, which it is. It's more expensive to create an underground prison made of plastic than to simply destroy Magneto. So I guess the big issue is using human justice for superhumans. I know it's a convention of the medium that old villains keep coming back, but come on. Maybe the Negative Zone and the Phantom Zone had the right idea -- they're the only way to contain divine powers like that. Yes, I know there are writing reasons for this. But when Arkham Asylum becomes a revolving door, that decreases plausibility. And it makes you realize your noble heroes are acting stupidly, staunchly adhering to beliefs like a religious zealot. Superman knows Lex Luthor is capable of defeating prison systems. Isn't it worth fudging a little bit of your moral code to permanently deal with a persistent problem? Why can you not be a hero if you kill someone? Doesn't it make you just as guilty if you don't?